What's it about? It is set in 1929 in Cornwall. Lou, the second eldest in a large family, spends her days, at the beginning of the book, trespassing on the island just across the causeway from her village, in the Cardew House. There's no one there, so Lou spends her days eating apples and reading books in the huge library. But then she's caught. The Cardews are back. There's dashing Robert, heir to the Lordship title, and his sister Caitlin. Lou's family life is a little in turmoil. 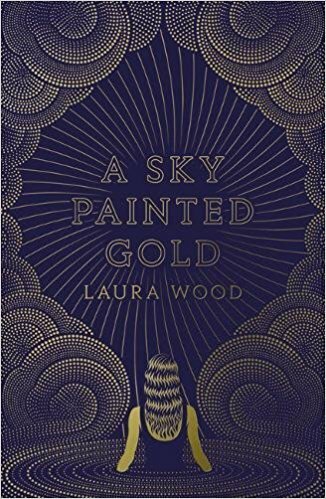 Her sister Alice is getting married, and Lou feels like marriage and children is the path she's destined for too, even though she doesn't necessarily want that. She likes to write - she writes romance stories. So escaping to the island is something she needs, but when the Cardews turn up she can't imagine how she'll fit into their moneyed, privileged world. But she ends up spending the summer with the siblings and their friends, seeing a glimpse into a life she'll never have. 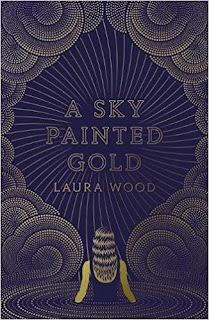 I had seen this book touted as being a bit like the Great Gatsby, which I guess I kind of see, because there's a big house and rich people and a lot of fabulous parties and more fabulous dresses. I guess I can see those comparisons but they're quite superficial. Are any main characters disabled either mentally or physically? Not really? Is there any talk of death? A little, I guess some of it could be triggering. What other books is it like? None that it's better than, for sure. How many stars? Two and a half out of five. Where is the book going now? I'll probably trade it if I'm honest!